These days, most of us keep our entire lives on our smartphones. But this also means our phones present a tempting target for law enforcement officers conducting criminal investigations. 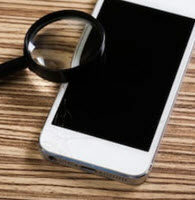 In recent years, a number of courts have had to confront the issue of whether or not the government can force a person to provide a passcode to unlock their phones in connection with a criminal investigation. Just recently, a Florida appeals court offered its views on the issue. The case, Gaql v. State, involves a fatal car crash. The defendant, a minor, was driving a car past the applicable speed limit when he crashed. The police later determined the defendant had a blood-alcohol content of 0.086 percent, which is more than four times the legal limit for minors. Based on this information, police obtained a search warrant for the defendant’s vehicle. Officers recovered two iPhones from the car. One belonged to another passenger who survived the crash. The second phone allegedly belonged to the defendant. The passenger told the police that she had been drinking alcohol with the defendant and other friends before the crash, and they exchanged messages via their phones. The police then obtained a separate warrant to search the defendant’s alleged phone to confirm this. Prosecutors asked a judge to order the defendant to provide not only the passcode to unlock the phone, but also his iTunes account password. The latter was necessary because “the phone could not be searched before receiving a software update from Apple’s iTunes service,” according to court records. The defendant argued that requiring him to provide this information would amount to a violation of his Fifth Amendment rights, i.e. that he would be compelled to offer testimony against himself that could be used at trial. It should be noted the Fourth District’s decision is not binding throughout Florida. In fact, the Second District Court of Appeal issued a decision in 2016 that held requiring a criminal suspect to disclose a phone passcode when the police have a warrant is not a Fifth Amendment violation. So the Florida Supreme Court may ultimately have to decide which interpretation of the law is correct. If you are charged with a serious offense and need to make sure that police and prosecutors respect your constitutional rights, you need to work with an experienced Miami criminal defense attorney. Contact the Law Office of Julia Kefalinos at 305.676.9545 today if you need immediate assistance.